Although a heart attack is terrifying for the sufferer and their loved ones, it’s not the end in many cases. Tens of thousands of Americans survive heart attacks and enjoy excellent quality of life afterward with their cardiologist’s help. 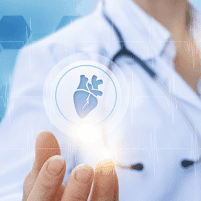 The cardiology specialists at Healing Hearts Clinic in Conroe, The Woodlands, and Huntsville, Texas, support heart attack victims, those at-risk for heart attacks, and other patients who need specialty cardiology care. Schedule an appointment using the online tool or by phone now. These symptoms can occur with other conditions, so experiencing one of them doesn’t necessarily mean you’re having a heart attack. Multiple symptoms mean it's more likely that you're suffering a heart attack. If you have some or all of these symptoms, it's important that you get medical help right away. The faster that you respond to heart attack symptoms, the better chance you have of surviving and minimizing damage to the heart and body damage if it's a heart attack. Because heart attacks are an emergency situation, they’re usually diagnosed and treated, at least initially, in the emergency room. In the emergency room, doctors check your heart activity on a monitor and perform tests like an electrocardiogram. Blood tests can also help diagnose heart attack since they can verify heart damage due to the presence of specific proteins in your blood. Additional tests in the emergency room may include a chest X-ray or other imaging, echocardiogram, and angiogram. Heart attack treatment depends on the situation. Your first treatment might be aspirin before you reach the emergency room. Drugs that you might receive in the hospital include: thrombolytics, antiplatelet agents, blood thinners, nitroglycerin, beta blockers, statins, ACE inhibitors, and pain relievers. You may need surgery for a heart attack, as well. Surgical procedures in an emergency setting typically include coronary angioplasty and coronary artery bypass. After you're discharged from any emergency room or hospital, you'll follow up with your Healing Hearts Clinic cardiologist, and then continue to see them for your long-term heart health needs. Your cardiologist may perform additional tests to verify current heart health, and they’ll create a treatment plan for your long-term heart wellness. If you’ve had a heart attack or are concerned about your heart health in general, book an appointment with an expert at Healing Hearts Clinic cardiologist online or by phone now.